In the Book of Mormon, Nephi was, “caught away in the Spirit of the Lord, yea, into an exceedingly high mountain” (1 Nephi 11:1), almost exactly the same words used to describe the event in Moses 1. The Spirit then asked Nephi if he believed the vision of his father (1 Nephi 11:4). When Nephi said he did, the Spirit gave Nephi a vision similar to his father’s in 1 Nephi 8. According to Biblical scholar David Bokovoy, this encounter “echoes an ancient temple motif” and forms a “template for depicting an official encounter between witness and worshiper in preparation for the introduction to advanced revelatory truths.” This template shows up several times in the Book of Mormon. 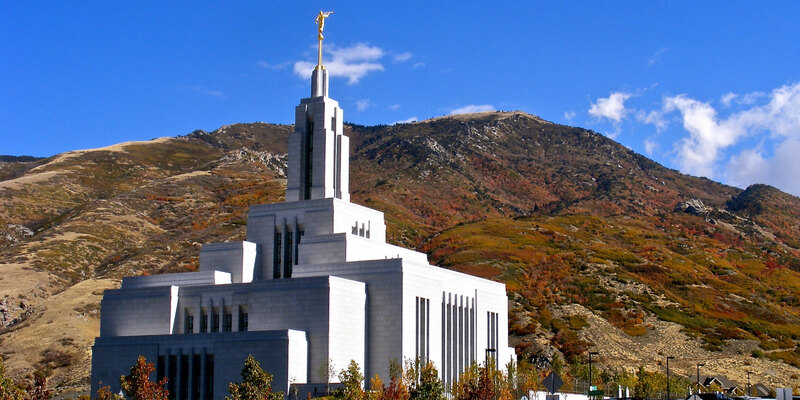 The knowledge that both Nephi and Moses received is similar to what President Ezra Taft Benson described to a general audience at BYU as the key covenants of the temple. These are “the law of obedience and sacrifice, the law of the gospel, the law of chastity, and the law of consecration.” Moses 5:1–6 emphasizes obedience, verses 4–8, 20 discuss sacrifice, verses 58–59 cover the gospel, chapter 6:5–23 explains chastity, and 7:18 is the classic text on consecration. Nephi receives this same information in symbolic form. In 1 Nephi 11:25, Nephi saw that obedience to the word of God, represented by the rod of iron, leads to the tree of life. Verses 32–33 reveal the Lamb of God being sacrificed for the sins of the world. This is an especially fitting image, as it was lambs that were sacrificed under the Law of Moses. 1 Nephi 13:24–36 mentions the gospel seven times. Verses 7–8, 34, and 14:10–17 discuss literal and symbolic violations of the law of chastity. Verses 13:7–8 also discuss the violation of the law of consecration as seen through the Abominable Church’s love of riches. It is impossible to know exactly what Moses and Nephi experienced in their mountaintop encounters with God. Yet their experiences should give us all a greater appreciation for the temples that dot the earth in this dispensation. As one goes to the temple today and learns things related to what Moses and Nephi learned, one can come to see the temple as our own mountaintop experience—a time for us to draw close personally with God. As we make covenants with God, we can look back on the long line of faithful saints who went before us and appreciate the similarities between our temple experiences and theirs. Our time in the temple can be just as powerful as Moses’ and Nephi’s time on their mountaintops if we are prepared to enter into a solemn covenant to keep all the laws mentioned in the Endowment and to receive all the revelations and blessings God is willing to give us. The accounts of Moses and Nephi remind us all of the significance of the temple. In these sacred buildings, we are symbolically being invited into God’s presence to partake of all that He has to offer us. We should all strive to think a bit more about the grandeur of our temple experiences and remember that when we are in the temple, the house of the Lord, we follow in the footsteps of Moses and Nephi and are truly in the company of God and stand in holy places. Douglas Clark, “A Prologue to Genesis: Moses 1 in Light of Jewish Traditions,” BYU Studies45, no. 1 (2006): 129–42. Jeffrey M. Bradshaw, In God’s Image and Likeness: Ancient and Modern Perspectives on the Book of Moses, 4 vols. (Salt Lake City: Eborn Books, 2010). For a condensed version of this lengthy commentary, see Jeffrey M. Bradshaw, Temple Themes in the Book of Moses (Salt Lake City, UT: Eborn Books, 2010), esp. 17–51. Another helpful commentary on this theme is E. Douglas Clark, “A Prologue to Genesis: Moses 1 in Light of Jewish Traditions,” BYU Studies 45, no. 1 (2006): 129–142. Bradshaw, In God’s Image and Likeness, 1:37; emphasis in original. See also Bradshaw, In God’s Image and Likeness, 2:293–295. Compare Andrew F. Ehat, “‘Who Shall Ascend into the Hill of the Lord?’ Sesquicentennial Reflections of a Sacred Day: 4 May 1842,” in Temples of the Ancient World, ed. Donald W. Parry (Provo, UT: FARMS, 1994), 52–53. Stephen O. Smoot, “‘I Am a Son of God’: Moses’ Ascension into the Divine Council,” BYU Religious Education Student Symposium (Provo, UT: Religious Studies Center, Brigham Young University, 2012), 129–143, at 132–138. See also, Donald W. Parry, “Garden of Eden: Prototype Sanctuary,” in Temples of the Ancient World, 133–137. Compare Parry’s remarks with William J. Hamblin and David Rolph Seely, Solomon’s Temple: Myth and History (London, UK: Thames and Hudson, 2007), 10. For examples of God’s assembly being on a mountain, see Isaiah 14:12–14 and Psalm 48:3. For more information on events like this, see Book of Mormon Central, “How Did God Call His Prophets in Ancient Times? (1 Nephi 15:8),” KnoWhy 17 (January 22, 2016). Stephen O. Smoot, “The Divine Council in the Hebrew Bible and the Book of Mormon,” Interpreter: A Journal of Mormon Scripture 27 (2017): 176. David E. Bokovoy, “‘Thou Knowest That I Believe’: Invoking the Spirit of the Lord as Council Witness in 1 Nephi 11,” Interpreter: A Journal of Mormon Scripture 1 (2012): 17–18. Bokovoy, “‘Thou Knowest That I Believe,’” 22. Ezra T. Benson, “A Vision and a Hope for the Youth of Zion,” address given at Brigham Young University, April 12, 1977. Figure 6. The Two Ways of Covenant-Keeping and Covenant-Breaking, in Jeffrey M. Bradshaw, “Freemasonry and the Origins of Modern Temple Ordinances,” Interpreter: A Journal of Mormon Scripture 15 (2015): 173. 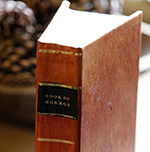 For more on the Great and Abominable Church, see Robert E. Parsons, “The Great and Abominable Church (1 Nephi 12–14),” in Book of Mormon, Part 1: 1 Nephi to Alma 29, Studies in Scripture, Volume 7, ed. Kent P. Jackson (Salt Lake City, UT: Deseret Book, 1987), 44–59. For more on Nephi’s experience, see Brant A. Gardner, Second Witness: Analytical and Contextual Commentary on the Book of Mormon, 6 vols. (Salt Lake City, UT: Greg Kofford Books, 2007), 1:198–199. Joseph Fielding McConkie and Robert L. Millet, Doctrinal Commentary on the Book of Mormon, 4 vols. (Salt Lake City, UT: Bookcraft, 1987–1992), 1:75. Hugh Nibley, Teachings of the Book of Mormon, 4 vols. (Provo, UT: FARMS, 1993), 1:184–185. Stephen D. Ricks, “Temples Through the Ages,” Encyclopedia of Mormonism, 4 vols., ed. Daniel H. Ludlow (New York, NY: Macmillan, 1992), 4:1463–1465. Donald W. Parry, “Temples” in Book of Mormon Reference Companion, ed. Dennis L. Largey (Salt Lake City, UT: Deseret Book, 2003), 753–754. Apparently the Endowment was performed atop Ensign Peak by early pioneers before the Salt Lake Temple was completed.